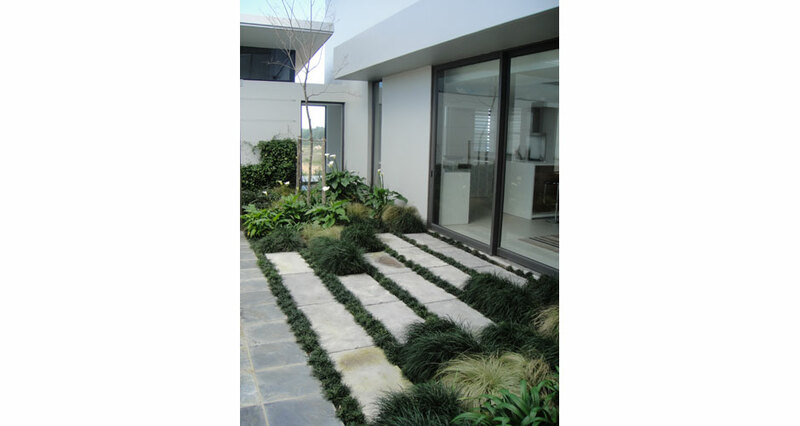 This garden was designed by Mary Maurel and built in 2009 for a new house. 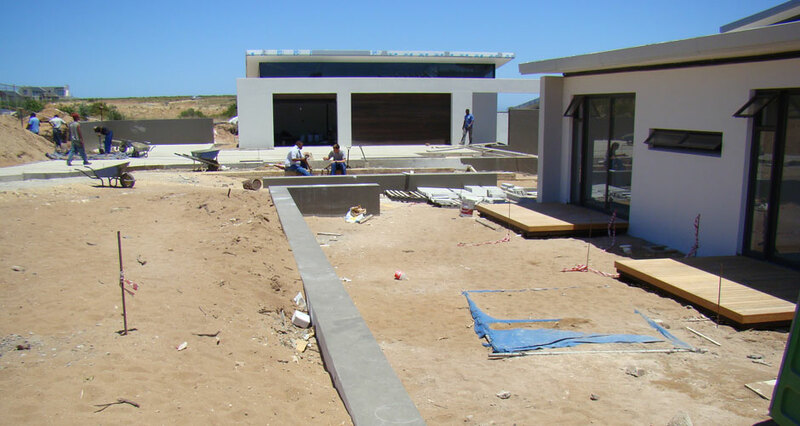 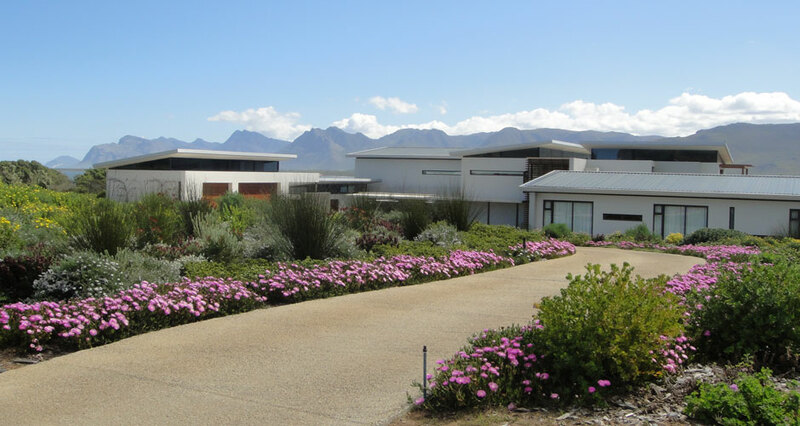 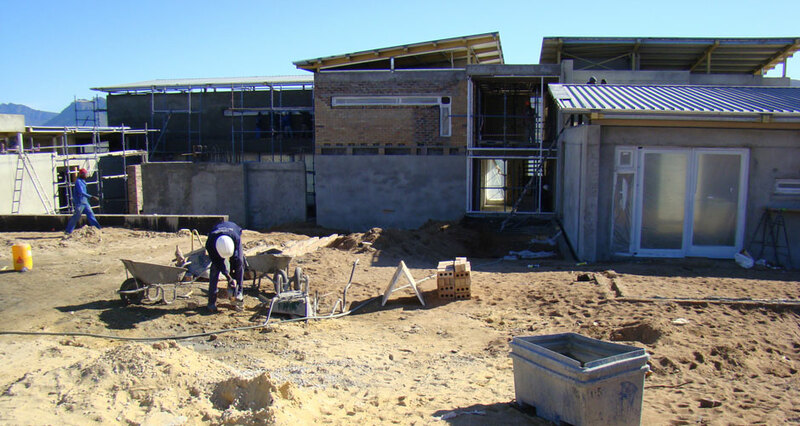 The site is in Benguela Cove estate, and has very harsh growing conditions, with high winds, heat and sea breezes. 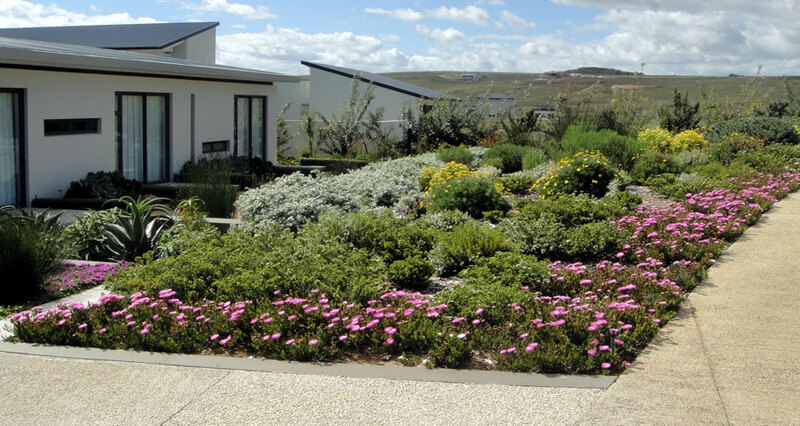 The garden is mainly indigenous and due to excellent plant choices the garden has thrived. 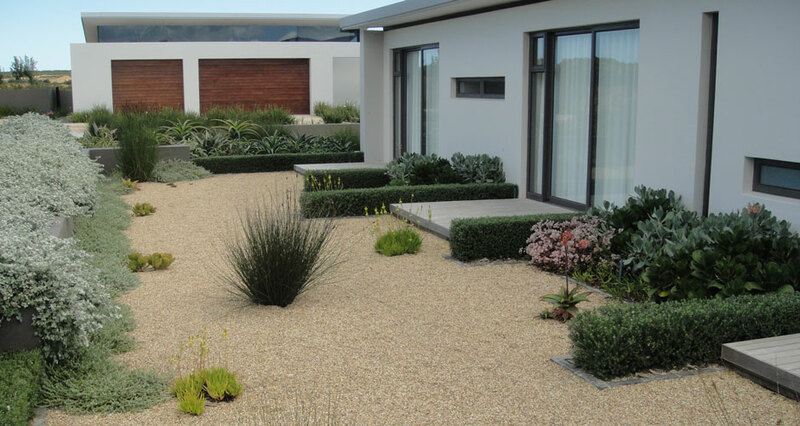 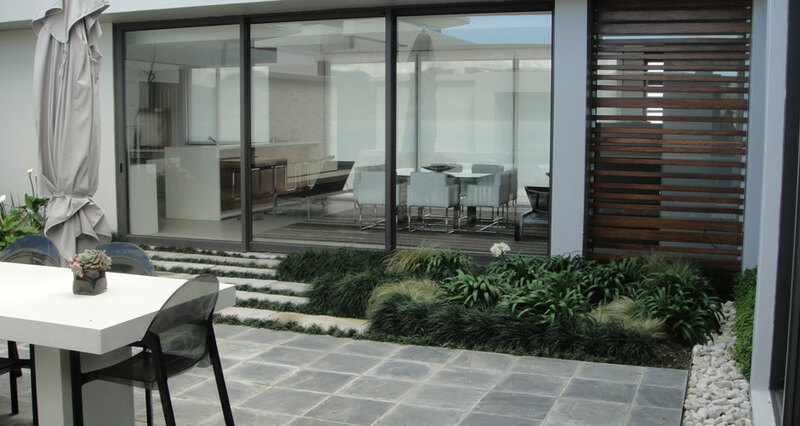 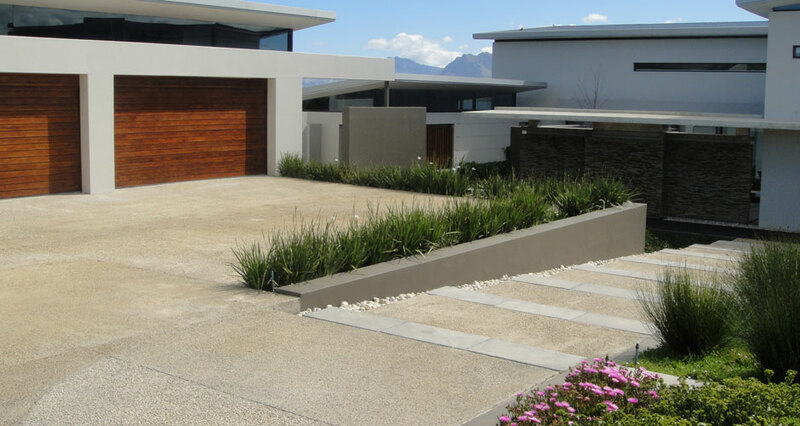 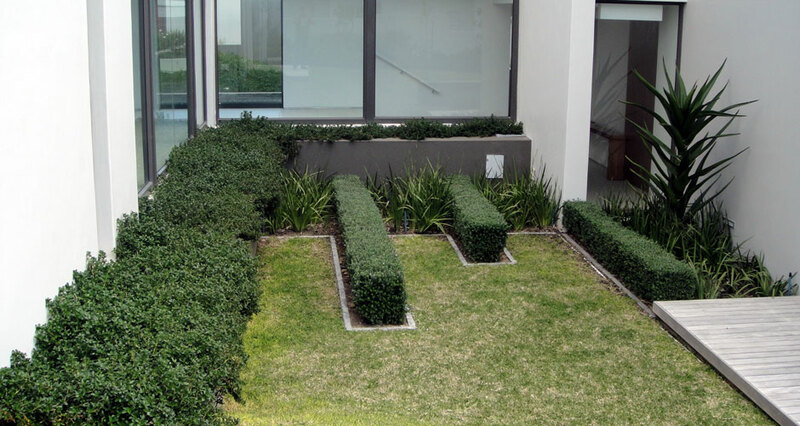 The garden was designed to bring out the strong architectural lines of the house.